Ok, The naming shouldn't really make a difference. It sounds completely wrong that the plugin should stay install, even if removed. Please paste a screenshot of your launchbox plugin directory. Also when does it actually crash, is it on trying to start the game or simply on selecting it? It crashes either when I right click a game or after launching a game. @Darkcloud Ok then the plugin is not still installed, the configure option is supposed to be there (greyed out) and is there for every game in launchbox and has nothing to do with my plugin (My plugin just gives it a purpose). Now for the actual problem, you say it just crashes with no error on a steam game, so what differentiates a steam game from a GOG game on your setup? 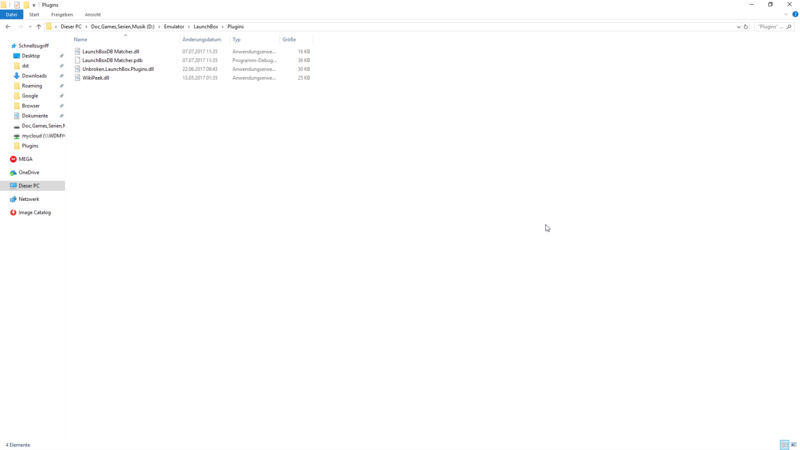 Are the steam games pointed to a steam style shortcut instead of an executable, If so try changing the location to the executable directory for a couple of games and see if the problem still occurs (though steam shortcuts seem fine for me), Is there anything I can do to try and replicate your problem? Yeah the difference is that the steam games use the steam url. The crashes still happen if I remove the plugin so I guess the newest Launchboxversion is the issue? I Installed the newest plugin version and the launchbox update at the same time. I am having the greyed out configure problem too. Just to make sure I'm not doing something stupid, what are the specific install instructions? Do I need to extract? What folder do I need to put this in? I'll add a readme in the next update, lol. Just to clarify the "PCSX2 Configurator" Folder should go in LB's "Plugins" folder. 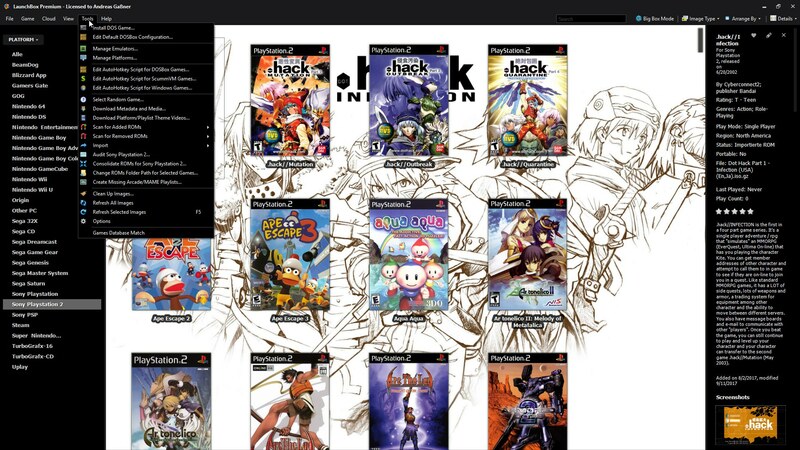 That should make config clickable on PS2 games and add a "PCSX2 Configurator Settings" to the tools menu. I am currently working on the next update, which will allow optimised settings (courtesy of @Zombeaver) to be downloaded directly from the plugin. Extract, and into Launchbox/Plugins, you may have to right click the .dll's and select properties, then unblock. I just bought a new computer and had to reinstall everything, so I'm stupid again. The updated version of this, with the fancy new features is now released and fully functional. See original post for more information. Great work you and @Zombeaver did on this latest version. @alec100_94 First time trying out the plugin here. I am getting an error when LaunchBox is starting and then LaunchBox crashes when I put this plugin in the plugins folder. I also checked in the dll properties to make sure I didnt have to unblock it also. bject reference not set to an instance of an object. @kmoney Ok, So where are your PCSX2 folder and launchbox folder located on your computer? Also post a screenshot of your PCSX2 folder. @kmoney Ok, So where are your PCSX2 folder and launchbox folder located on your computer? It could be that I use rocketlauncher with launchbox so rocketlauncher is chosen as my emulator for all my platforms so all my emulators stored in a emulators folder. Can this plugin work with rocketlauncher since rocketlauncher controls all my emulators and LaunchBox basically is just the frontend and never knows where my emulator locations are since rocketlauncher controls all that? @kmoney, Then yeh that'll be the problem, This emulator expects PCSX2 to be the associated emulator. I'll try and think of an appropriate fix for RocketLauncher but personally I am not a fan of it. @kmoney, Then yeh that'll be the problem, This emulator expects an PCSX2 to be the associated emulator. I'll try and think of an appropriate fix for RocketLauncher but personally I am not a fan of it. Does RocketLauncher not offer it's own solution for per game configs anyway? Though I imagine my plugin might give the superior experience at this stage. I've got a couple of other relatively minor issues that need fixing anyway, so I'm probably doing a revision 2 release later, so I'll try and add in a RocketLauncher fix. It does offer a way but I do feel like your method is superior and easier especially with @Zombeaver's configs as well. @kmoney, could you tell me a little more about how RocketLauncher takes commandline arguments for PS2 games? I know how to use rocketlauncher really well but I am not to sure if I could be of much help with that, but I did find a rocketlauncher wiki section about how rocketlauncher uses command line. Hopefully it will be of some help. I will try to help anyway I can. @kmoney Thanks for that it might be useful, but let me word my previous question in a way you'll understand. 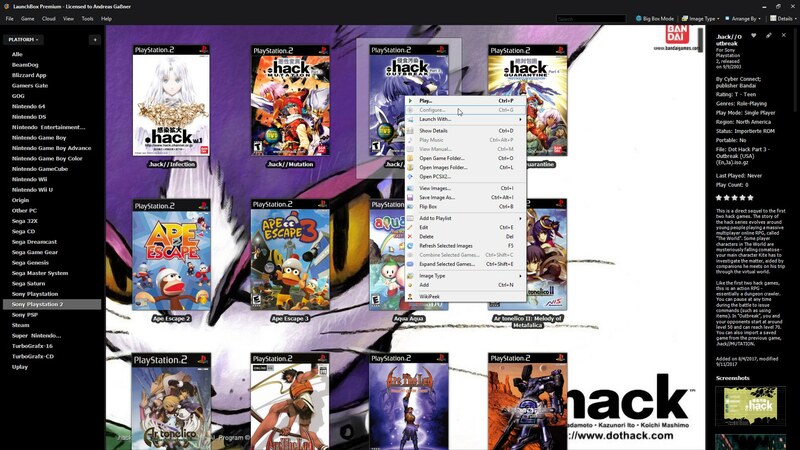 Please post a screenshot of your Tools > Manage Emulators > RocketLauncher > Edit > Associated Platforms Window that displays PS2 and the full Default Command-Line Parameters column.